SANTA CLARA, Calif. ? June 22, 2012?? Take on legions of rival players in ferocious large-scale battles in?Waren Story, the latest massively multiplayer online role-playing game (MMORPG) from?Aeria Games, a leading global publisher of free-to-play online games.? The company announced today the beginning of Closed Beta testing for this highly-anticipated fantasy adventure filled with breathtaking visuals and engaging Player vs. Player (PvP) gameplay. Waren Story?features spectacular graphics and animation, four distinct classes, and ten captivating PvP modes to foster competition between players and guilds. A variety of battlefields set the stage on which skilled gamers can vie for supremacy?and each other?s precious honor points. An ultimate battlefield also awaits for the bravest and most daring, pitting teams of up to 100 players against each other in a titanic clash. But players must take heed, as dying there means forfeiting experience points to the killing player and possibly losing valuable items! 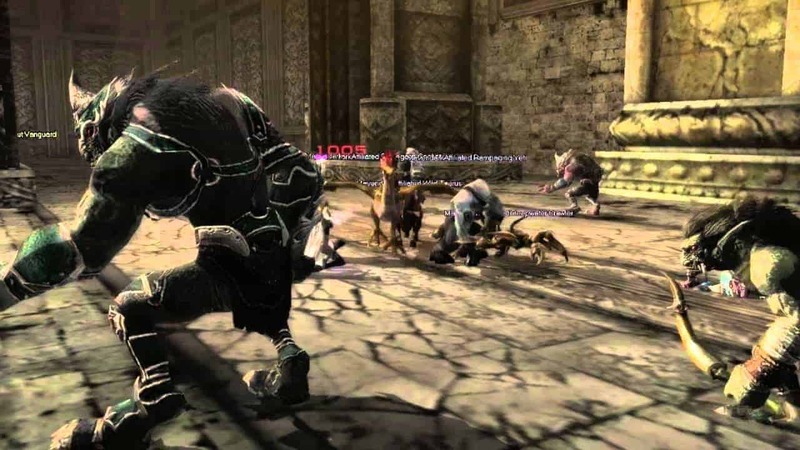 The game also offers several methods of guild vs. guild conflict for large scale rivalries. Guilds may simply declare war upon each other and attack opposing players anywhere in the world, or enter the exciting Siege War mode for a more organized approach to wholesale slaughter. An invading guild must lay waste to a castle with weapons including cannons, catapults, ballistae, and of course, traditional PvP combat?while the defending guild must hold them off and protect their guild stone. Not only does the winning guild in a Siege War gain additional treasure, they also get a ticket to the weekly Conquest War, a highly prestigious affair in which five guilds housed in five separate castles fight in a free-for-all battle royale. The winning guild receives major spoils, the ability to set tax rates on NPC vendors, and of course, supreme bragging rights for the week! With its robust PvP systems, awesome visuals, and vast fantasy setting, this is one story that MMO fans won?t want to miss. Players can participate inWaren Story?s beta by signing up and downloading the Waren Story client.. Like all Aeria Games titles, it is free to download and play.